The silent film era is one that has been largely forgotten by us modern day audiences, but every now and again there are a few that resurface and prove that silent cinema can be just as spectacular as sound cinema (or talkies, for those who are old-fashioned enough to call them that). What the majority of audiences don’t know is that before Rear Window and Marnie days, Alfred Hitchcock actually had made a few silent films. 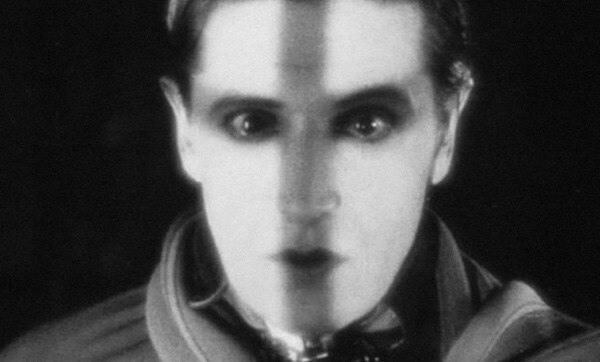 Ivor Novello, the mysterious lodger. 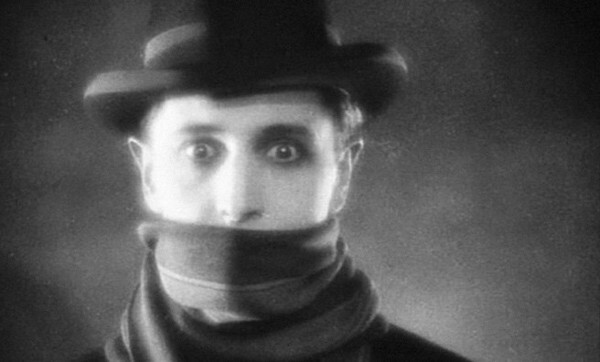 The Lodger is one of these silent films which was largely been lost in the new wave of sound, special effects, and animation. However, those who see it will find traces of the classic Hitchcockian suspense film, as well as lighting and camera shots influenced by the German Expressionism movement. The Lodger is the perfect blend of suspense and comedy, making it a great silent film which is enjoyable for both silent film amateurs and experts. As with most silent films, the plot is straightforward, simple, and linear. There’s no “Tarantino-ing” of the storyline, but this doesn’t mean that it isn’t engaging, interesting, and an absolute mind-trip in its own right. A serial killer with a fascination for blonde women is on the loose in London, and is on to his seventh victim. No one knows his identity, and the only trace of evidence he leaves is a piece of paper with “The Avenger” written on it. One of the families that lives in the vicinity of the murders is the Bunting family: Mr Bunting (Arthur Chesney), Mrs Bunting (Marie Ault), and their blonde daughter Daisy (June), who is a model. Daisy is dating a detective, Joe (Malcolm Keen), who has been assigned to the avenger case One day, a mysterious man known only as “the lodger” (Ivor Novello) arrives at Mr and Mrs Bunting’s home after seeing a “Room to let” sign. He rents the room for a month; meanwhile, the killings continue. Mrs Bunting begins to suspect that he is actually the Avenger after some strange occurrences, and Joe – half suspecting and half jealous of the time the lodger has been spending with Daisy – shares her sentiment and tries to uncover the lodger’s true identity. The Lodger and Daisy playing more than a game of chess. The narrative is actually based on the unsolved murders of Jack the Ripper in the late 1880s, and is really presents Hitchcock’s own hypothesis on the murders.There are no sub-plots, which means the narrative never becomes confusing as some silent films can be if the director tries to include too much information. The best part of the storyline is, though, that you are never quite sure whether what you are told is correct. It will keep you guessing, thinking, and re-thinking what you thought; actually, the film is so ambiguous in everything it does that I’m still not 100% sure on whether my thoughts towards it are right. That’s the trademark of a great suspense film though: the suspense stays with you long after the film has finished, yet the storyline is closed enough to make the narrative feel complete. 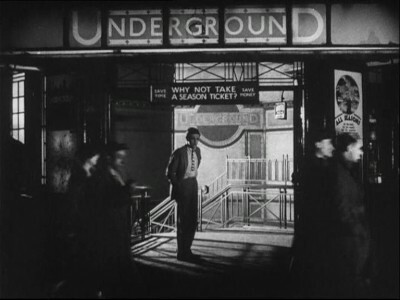 Hitchcock leaves the film as unsolved as Jack the Ripper’s identity, and that is by far makes the film’s impact that much more powerful. While a silent film’s characters aren’t always as engaging as characters in a sound film, there’s still a great deal of enjoyment that can be obtained through watching them. Since there aren’t actually that many characters, Hitchcock gives audiences plenty of time to get to know the five main people who are involved in the film’s narrative. For starters, the Lodger himself is absolutely brilliant as a character. 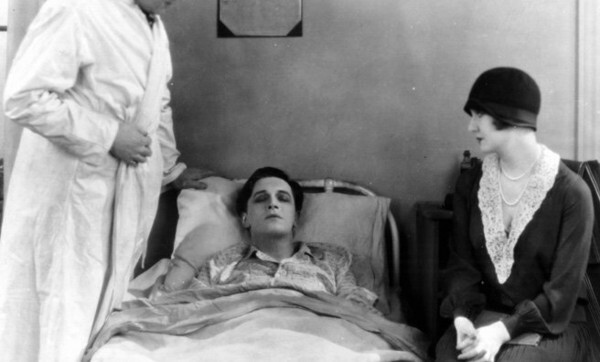 Ivor Novello was chosen for the role purely for his good looks, but really rose to the occasion and managed to deliver a stunning rendition of the Lodger. The character is a gentleman, yet there’s just something slightly off kilter about him, and Novello’s ability to make the audience feel uncertain plays right into Hitchcock’s intentions. Novello is also a fairly handsome man, which goes against everything any viewer would expect from a suspected killer – and I, personally, wouldn’t have had it any other way. The Lodger in a bed with Daisy by his side…one of the few moments where June isn’t over-acting. What I do tend to have a problem with in many silent films is the female characters. Many silent films require a certain degree of overacting to compensate for the fact that there’s no dialogue, but I find that women always tend to overdo it. Daisy is the prime example of this: she’s over-exaggerated, gullible, and really lacks the depth some of Hitchcock’s other female characters have. In The Lodger, even the elderly Mrs Bunting was more appealing as a female character than Daisy. She at least had some humour in her, not to mention she’s the one who suspects the Lodger is the Avenger while Daisy just ignores any warnings and ploughs on ahead with her own intentions. The other two characters, Mr Bunting and Joe, are both characters which can really only be described as “blah”: you wouldn’t miss them if they weren’t there, but they still have to be there for the storyline to work. Mr Bunting provides a good deal of comic relief to an otherwise intense narrative, but Joe is really pathetic, needy, and absolutely everything I dislike in a detective. As I mentioned earlier, the film is reminiscent of German Expressionist films from the 1920s, such as The Cabinet of Dr Caligari or Nosferatu (which are both two other great silent films). The visual elements are wonderful because there are no real special effects: everything is implied, and it’s all about how expressions and movements can create an experience for the audience. Hitchcock uses plenty of unique shots and great shadows to generate the suspenseful atmosphere, and it’s safe to say that when he combines this with music, the result is a film that’s just as intense as any blockbuster thriller today. Novello gazes out the window: one of the most stunning shots in the film. However, for all the beautiful shots and great plot, the audio is really what makes the film as engaging as it is. Without voices to drive the story, Hitchcock has to rely completely on the score to keep the audience’s attention. The Lodger is filled with loud music at the right times, cheerful music to break up the tension, and the text and characters’ movements often sync up with the rhythm which provides the film with a great flow. While it’s not as great as watching a live string quartet perform the soundtrack (but let’s be honest, where are we going to find that in this day and age? 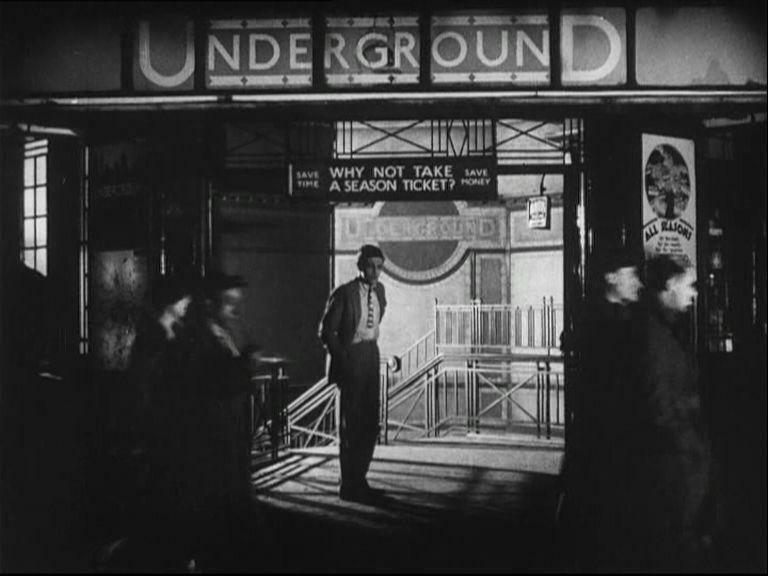 ), the audio in this film really does heighten the experience and bring it on par with a lot of other films made later by Hitchcock. The DVD comes jam-packed with a ton of goodies to ensure that everyone has plenty to watch beyond the film itself. One of the best extra features is Alfred Hitchcock’s 1927 silent film Downhill (otherwise known as When the Boys Leave Home). Ivor Novello plays the main character in this film too – Hitchcock did that with many stars; remember James Stewart and his multiple appearances in Hitchcock films? 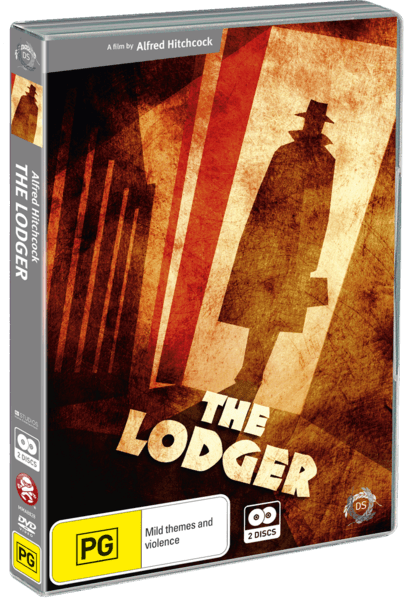 – and it’s great to have another silent film from the master of suspense in one DVD case, but the film is really nothing in comparison to The Lodger. Downhill (When the Boys Leave Home) – another silent film by Hitchcock. The DVD also comes accompanied with the original score, the new 1999 score (it doesn’t sound like anything special, but there is a difference and it does alter the tone of the film slightly), the 1940 radio play of The Lodger, and a booklet with two essays titled The Lodger: Hitchcock making cinema and The Lodger: A theory (or two). The radio broadcast is absolutely great to listen to and it left me hanging just as much as the film did – it’s a great look at how people were entertained back in the ‘40s when radio was a popular medium. You’ll probably want to read the essay with a theory on the film as well; after I finished watching it, I immediately jumped to the essays to try and figure out if my thoughts about the film were right or wrong. The rest is great to have on the DVD because it most definitely gives you your money’s worth, and keeps you entertained for hours after the film has finished. Hitchcock’s The Lodger is a silent film that is definitely worth watching, regardless of who you are. While the characters may not tug at your heartstrings as much as characters in recent movies do, the narrative and the ambiguity of the entire film will leave you thinking for at least the next few hours – if you’re like me, though, you may have to make peace with the fact that you’ll never really know. If there’s any early Hitchcock film to invest in, this is it, and I can ensure you that I will be re-watching this over and over again in the years to come.